This session took place on November 7th. 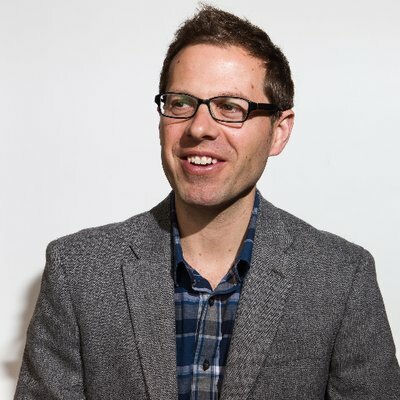 David Ryan Polgar has carved out a unique career as a “Tech Ethicist, where he explores our evolving relationship with technology from an ethical, legal, and emotional perspective. With a background as an attorney and college professor, he transitioned in recent years to focus entirely on tackling the thorniest issues in tech while promoting a deeper conversation with the development and implementation of tech advances. Well before the current discussion around Silicon Valley and ethics, David was advocating for a greater discussion around innovation. David is a tech writer (Big Think, Quartz, and IBM thinkLeaders), speaker (3-time TEDx, The School of The New York Times), and frequent tech commentator (SiriusXM, CNN.com, HuffPost, BBC.com). He has experience working with startups and social media companies (ASKfm), and co-founded the global Digital Citizenship Summit (held at Twitter HQ in 2016). Outside of writing and speaking, David currently serves as Trust & Safety for the teen virtual world Friendbase. He is also a board member for the non-profit #ICANHELP, which recently held the first annual #Digital 4Good event to promote student empowerment and positive tech use. David is also currently helping plan an event in San Francisco in January that will focus on social media’s role in teen suicide prevention. He is a recognized expert in the area of cyber ethics, digital citizenship, and tech balance. David’s forward-thinking approach to online safety and digital citizenship has been recognized by various organizations and outlets across the globe and was recently singled out online by the Obama Foundation. Some of his main goals are bridging the gaps between different stakeholder groups and utilizing technology in a manner that maximizes the human existence. In an effort to increase access to the thorny discussions around tech, David recently co-founded and co-hosts a monthly live show in NYC called Funny as Tech.